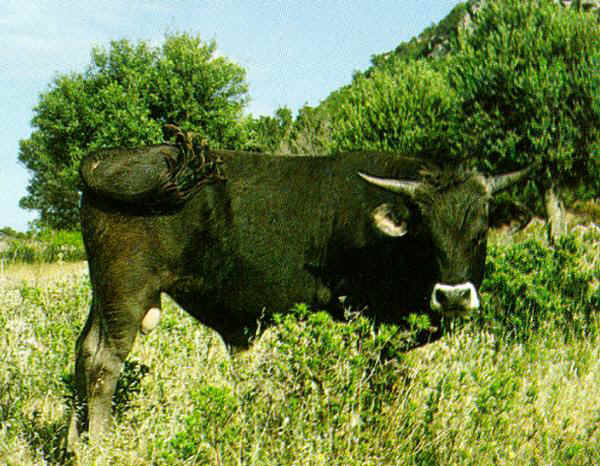 It comes from Sardinia. It seems to belong to the Podolico breed. 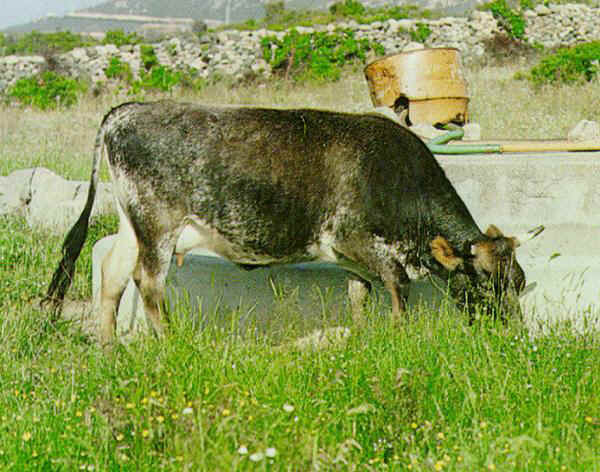 Although it is quite rustic, it is scarcely productive; it is bred in Sardinia in difficult areas. The colour of the coat is varied, uniform or striped. In females it shades from dark red to light golden red. In males the coat is black or dark red. Black wide muzzle with white shade. Small size. 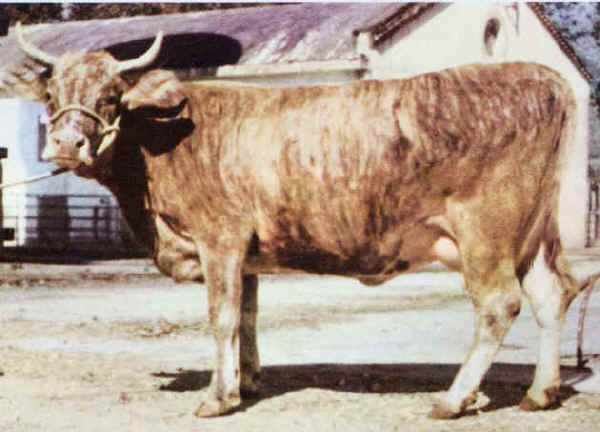 Both for meat and milk but low production, its importance lies in its breeding in marginal difficult areas.